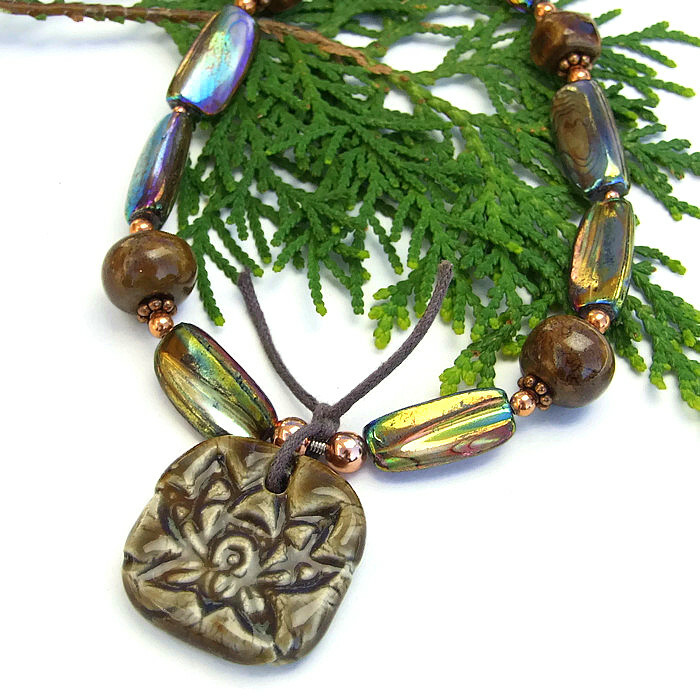 Stylish and trendy, the meaningful UNIVERSAL handmade necklace will make a delightful gift for the woman who practices yoga. 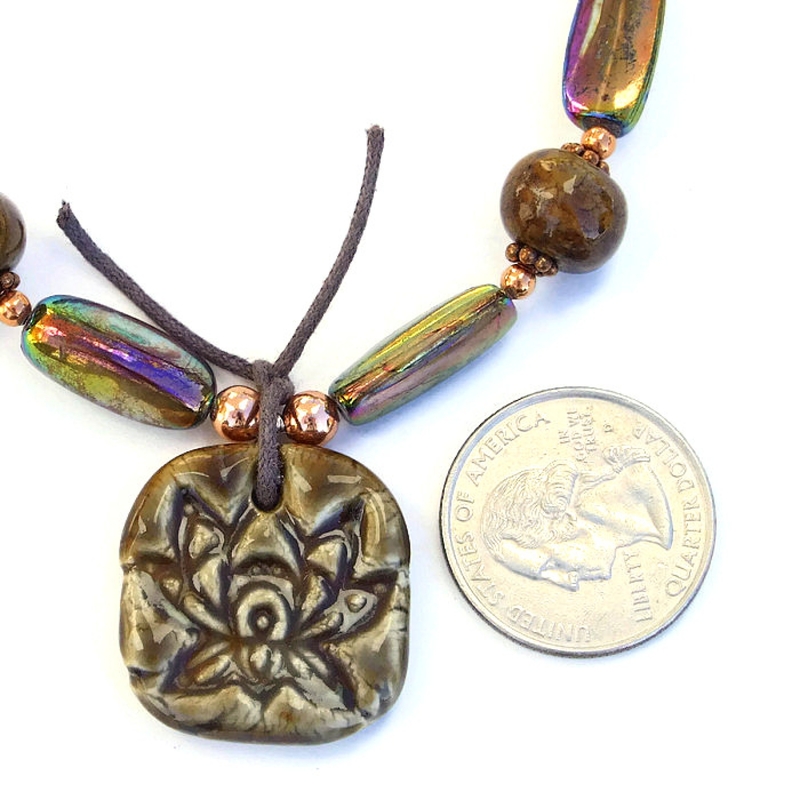 The necklace features a rustic, ceramic handmade lotus blossom and four ceramic beads, all individually artisan created with a rich, earthy greenish brown glaze. 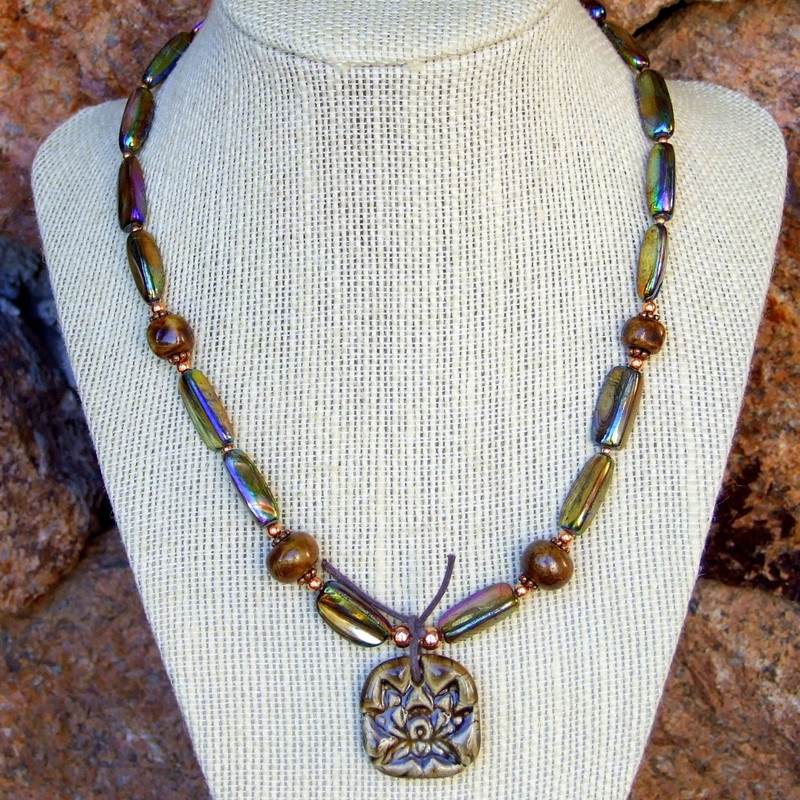 The pendant is tied onto the main body of the necklace with waxed, brown cording. Iridescent mother of pearl shell long nuggets shimmer and glow, producing ever changing peacock colors as the angle of the light changes. 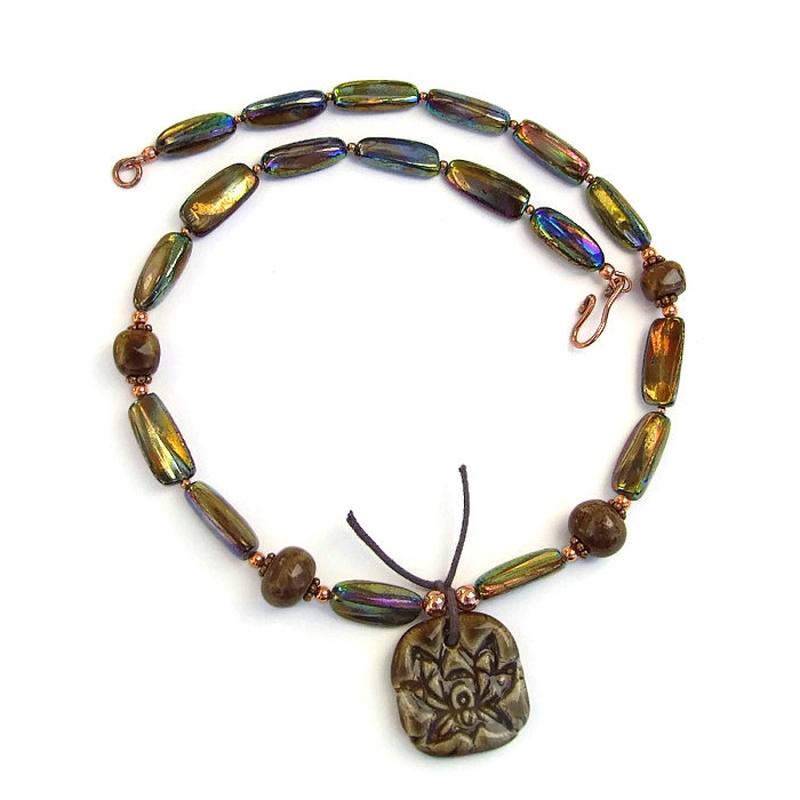 Copper findings add even more radiance to the necklace. 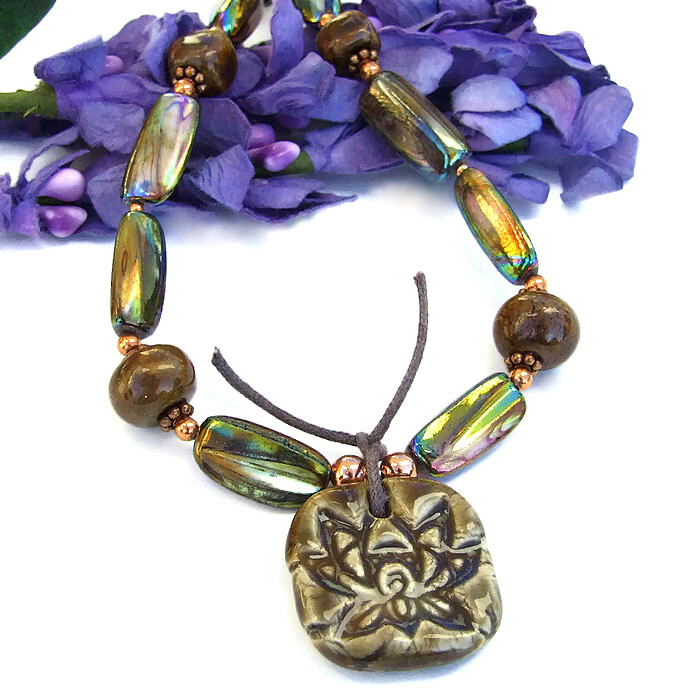 Created for the woman who loves to wear unique, one of a kind beaded jewelry, the UNIVERSAL lotus necklace was carefully designed and handmade by Catherine of Shadow Dog Designs. For a better understanding of the relative size of the lotus pendant and mother of pearl used in the UNIVERSAL necklace, please be sure to check out photo #5 for a size comparison with a quarter. The lotus symbolizes enlightenment in many cultures and religions. 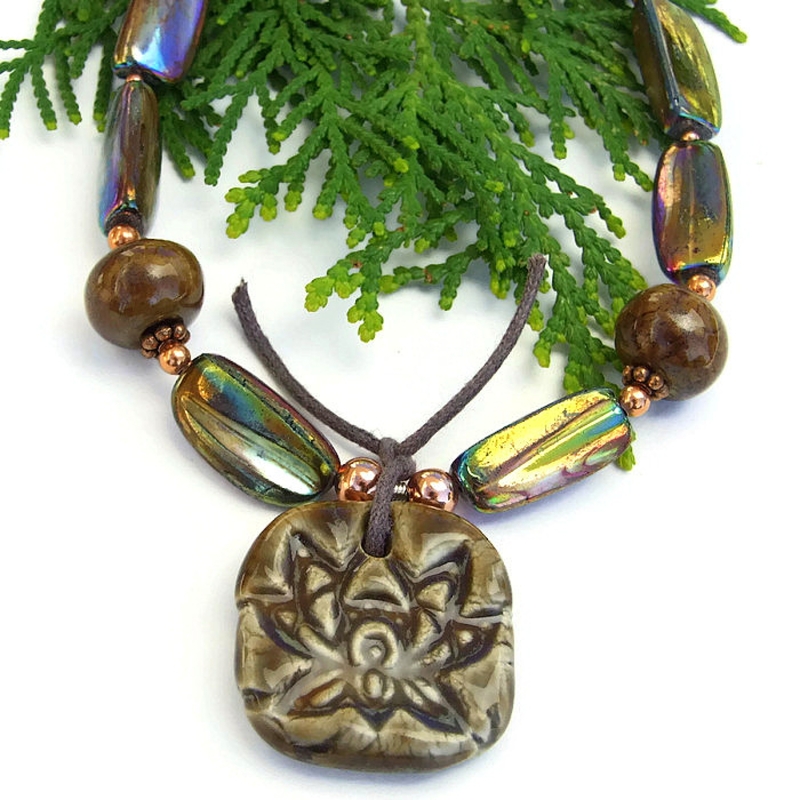 Mother-of-pearl shell is believed to stimulate intuition, sensitivity and imagination; it helps provide focus to lives and calms and soothes the emotions. Silver is a metal of love and healing; it is a mirror to the soul, helping us to see ourselves as others see us. 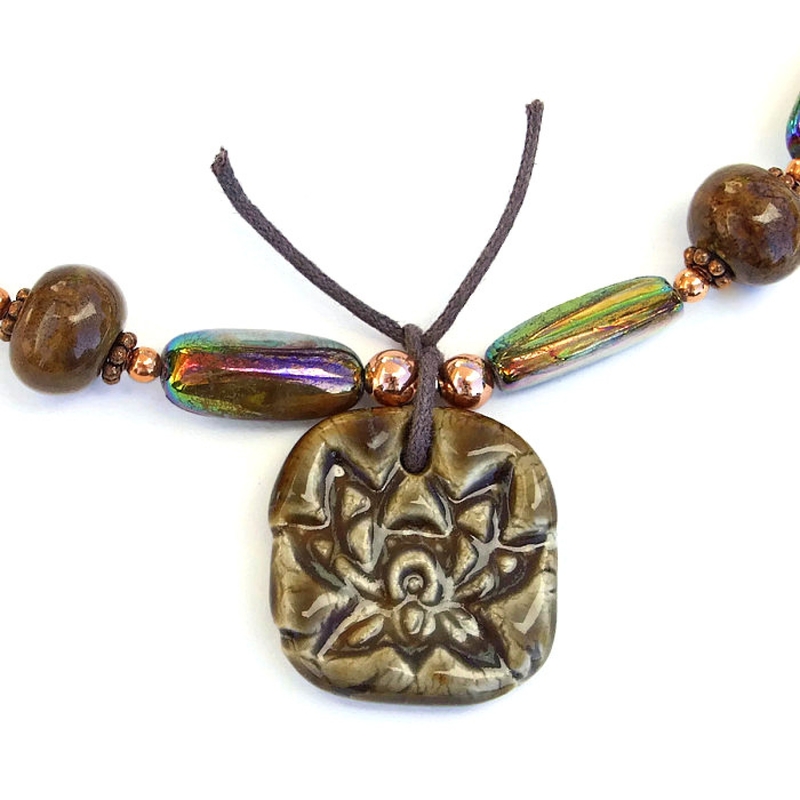 The UNIVERSAL lotus necklace will come with two informational drop tags: one with the piece's name; the other lists the materials used in the necklace and the language of the stones and metals. It will be carefully packed in an organza jewelry bag, perfect for gift giving to a loved one . . . or to yourself!